MORELIA, Mexico -- A thousand people stood in formation to create the face of Pope Francis and a welcoming message during the pontiff's historic visit to Mexico. 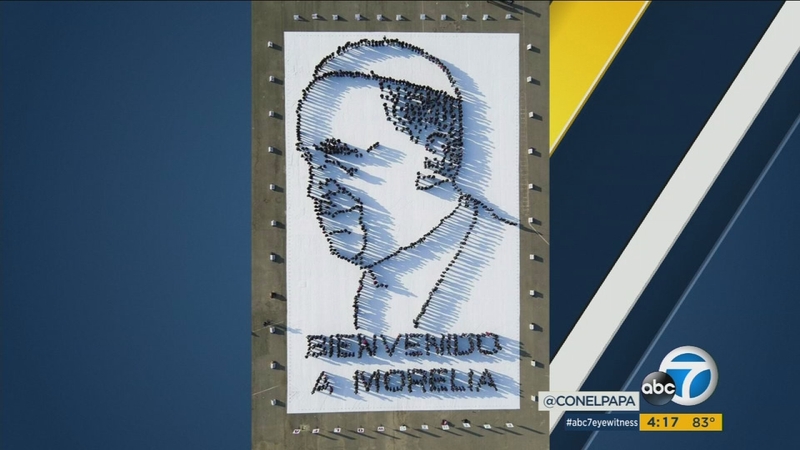 The image spelled out "bienvenido a Morelia," which means "welcome to Morelia." The uplifting image was shot from Francis' vantage point. In his Tuesday visit to Morelia, Michoacan, known as a hotbed for Mexico's drug trade, Pope Francis urged Mexico's priests to fight injustice as they're surrounded by drug-fueled violence and corruption.